Fun and practical! 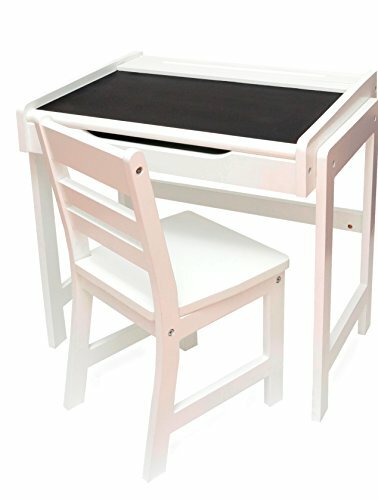 perfect for eager little students to spend their day writing out their abcs and 123s on the chalkboard desktop. Lift up for a generous storage space for erasers, chalk and other treasures. Finished with a White non-toxic paint, which complements any decor. Made from medium density-fiberboard (MDF). assembly required. Care: hand wash with a mild soap and cool water. Do not soaked do not put in the dishwasher, microwave or refrigerator. Extreme changes in temperature will cause the material to crack over time. dry thoroughly. Finished with a White non-toxic paint, which complements any decor.